Metro DC Lawn and Garden Blog: Will Prince William & Kate Middleton follow in the royal organic footsteps? Will Prince William & Kate Middleton follow in the royal organic footsteps? So the big news of the last couple of days, of course, is that Prince William finally officially proposed to his beautiful girlfriend Kate Middleton. As an eco-minded gardener, my first thoughts aren't of the glamorous nuptials themselves, but whether the couple will follow in the royal footsteps and be organic gardeners. If you aren't into the "green scene", you may not know that William's father, Prince Charles, has been an organic gardener since before William was born. When he bought the 1000 acre Highgrove estate in 1980, The Prince was adamant that it should be an entirely organic garden and farm and began setting out to make it so. The gardens have been developed to be as self-sufficient as possible with all green waste recycled for use in the gardens as mulching material or as compost. 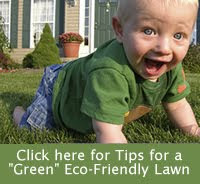 Natural predators are encouraged for pest control and only natural fertilizers are used. His Royal Highness desperately wanted to protect and enhance the native flora and fauna which have been in serious decline due to modern farming methods. 'Even in the 1960s, when I was a teenager, I hated what was going on - the endless tearing up and pulling down of all the wild places, many of which had taken hundreds of years to grow and were being destroyed in one day. 'It takes forever to recreate lost habitats. And I also felt the chemical approach to farming and gardening was not something that could ever last. It is said that the Prince of Wales and Camilla even spent much of their honeymoon personally installing the plants they had received as wedding gifts. For passionnate gardeners like the royal couple, this constitutes fun. Prince Charle's book, The Elements of Organic Gardening , touts many of the principles that we all could stand to incorporate into our gardens: working with Mother Nature, using natural predators for pests, hand pulling weeds, and conserving water. His new book and documentary, called Harmony, prove that his love for nature and the environment go much deepen then his passion for gardening. "I believe that true 'sustainability' depends fundamentally upon us shifting our perception and widening our focus, so that we understand, again, that we have a sacred duty of stewardship of the natural order of things," said Prince Charles in a statement last year. "In some of our actions we now behave as if we were 'masters of nature' and, in others, as mere bystanders. If we could rediscover that sense of harmony; that sense of being a part of, rather than apart from nature, we would perhaps be less likely to see the world as some sort of gigantic production system, capable of ever-increasing outputs for our benefit – at no cost." But will young Prince William and the lovely Kate be spending their honeymoon in the garden? Probably not. But I can personally attest to the fact that it is difficult to NOT inherit a love of nature and the environment from a parent that feels it as strongly as Prince Charles. So I wouldn't be surprised if someday, the beautiful young Kate and William start organic gardens of their own.